A long-abandoned deep space facility may hold the secret of what the Sontarans fear most... Aside from voicing Field-Major Kayste and a number of his clone comrades in this production, Dan Starkey is also serves as co-writer alongside Big Finish regular John Dorney (Dark Eyes 4, Requiem for the Rocket Men). 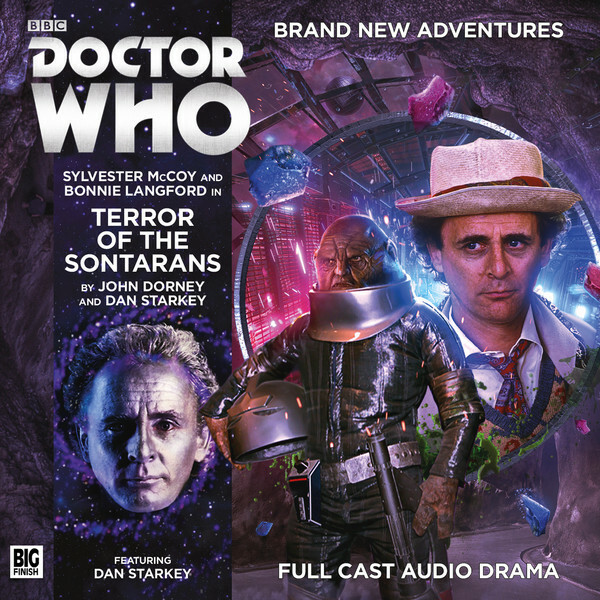 Never before has there been a Sontaran tale penned by someone who has worn the mask, helmet and probic vent of Sontar, so this play may provide some unique insights. This will also be the first meeting of the diminutive space sentries with Mel Bush – an unlikely combination that should throw up plenty of surprises.